ADHD stands for Attention Deficit Hyperactivity Disorder. It is a condition in which behaviours such as impulsiveness, inattentiveness, and hyperactivity hinder everyday functioning and task performance. 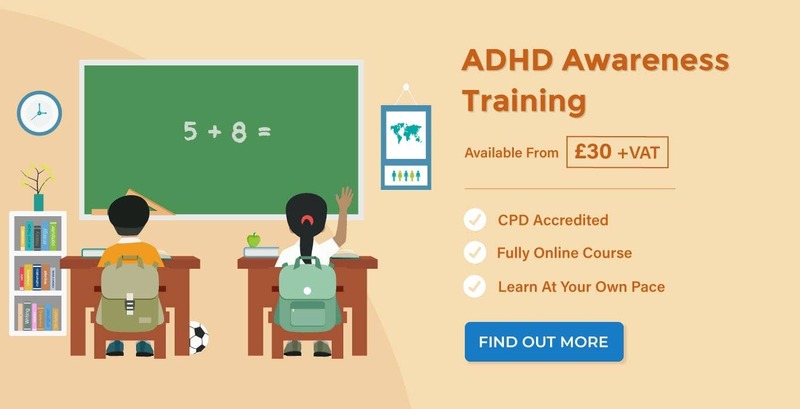 The National Institute for Clinical Excellence stipulate that ADHD affects around 5% of school-aged children – that’s approximately 500,000 children in the UK. Because of this, it is important that those who work in a classroom setting know how to adapt tasks and the classroom set-up for children with ADHD. 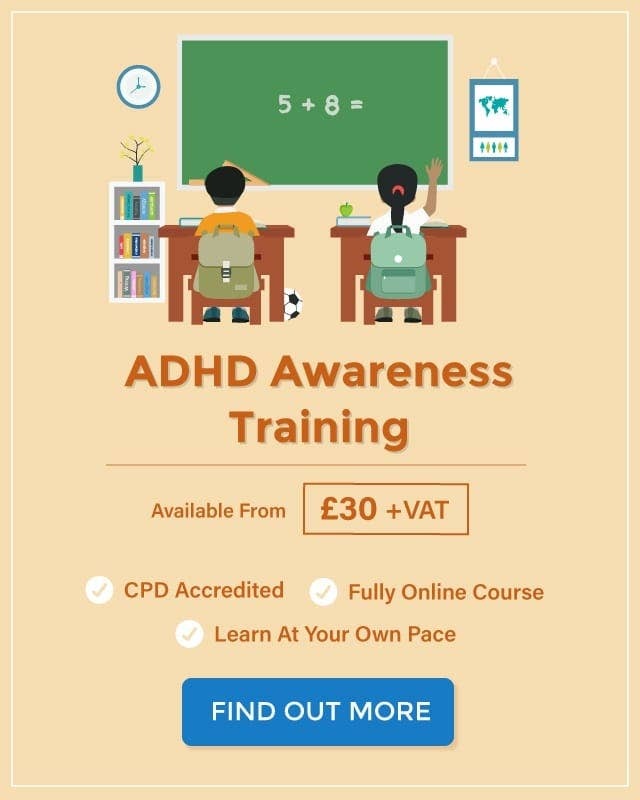 Both teachers and teaching assistants should be able to recognise the signs of the disorder, understand common ADHD behaviours, and be able to make reasonable adjustments to best accommodate and benefit the child/children. 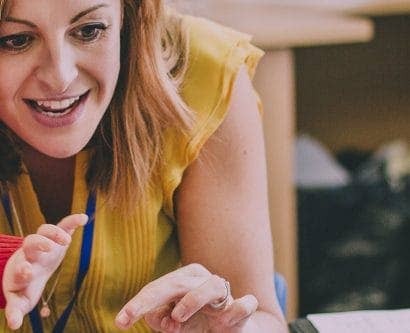 This article describes what it is like to work with children with ADHD and outlines some teaching strategies. Though not all strategies work for every child, it’s beneficial to try a few out and see which ones are effective. Impulsiveness – acting before thinking, interrupting conversations, and little or no sense of danger. Hyperactivity – being unable to sit still, constantly fidgeting, and excessive movement. Inattentiveness – having a short attention span, being easily distracted, unable to concentrate on tasks, constantly changing activity or task, appearing as unable to follow instructions, and forgetfulness. Working with children with ADHD can be a challenge at times. It’s particularly difficult in a classroom environment, where the characteristics of fidgeting, being unable to sit still, and all aspects of inattentiveness are especially noticeable. One of the main difficulties that children with ADHD face is that people assume they are just badly behaved, which is untrue. Treating a child with ADHD as though they are just badly behaved is likely to damage their self-esteem and worsen behaviour. By remaining patient and being aware of the symptoms of ADHD, you can help any student who has the disorder to achieve their best. You should develop certain strategies to suit their learning style and allow them to focus better. 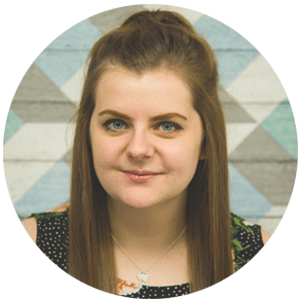 You must make reasonable adjustments for a child with ADHD. This will help to better their chances of success and reduce the number of classroom disruptions. Below are some of the most effective strategies and adjustments you should make. It’s incredibly important that you establish a strong working relationship with the student’s parents. They know their child better than anyone and are a valuable source of information about which strategies do and don’t work. Ask about the child’s strengths, weaknesses, interests, and achievements outside of school. This will help you get to know the child better, which is especially important. You should aim to communicate with the child’s parents frequently, and send encouraging notes home about progress. If a child in your class had ADHD, you should educate the other children in the classroom on the condition. You must ensure you frame it positively to reduce potential cases of bullying. Consider allowing the child to get involved in the explanation and tell other students what it’s like. You should sit the child with ADHD near to you – this will help you monitor if they are on track. You could also sit them in an area with few distractions, such as away from doors, windows, and noisy students. A useful tip is to sit the child close to a pencil sharpener and a bin. When they need to expend some energy, they can get up to sharpen their pencil as much as they like. With input from your students, establish short and simple classroom rules that are easy to understand. Frame all rules positively – tell students what you want them to do, rather than what you don’t want. Make routines and stick to them. This can help a student with ADHD to stay on task and reduce distracting changes. 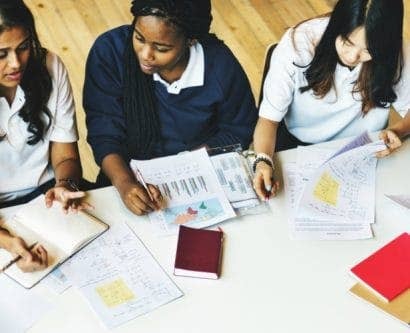 Routines do not have to be fully planned out – something as small as always writing the homework task on the whiteboard can be an effective routine. You should give directions in simple terms and simplify all instructions, tasks, and assignments to the best of your ability. You should also ensure that you have the child’s full attention before issuing any instructions. Be patient and prepared to repeat instructions frequently. Simplicity, clearness, and directness shouldn’t just be adopted verbally. Establish eye contact to clearly indicate to the child that you are speaking to them. Also consider displaying visual cues around the classroom to help keep the pupil on task. Divide lessons and large projects up into smaller chunks, and vary both your content and materials. For example, use workbooks, games, and electronic devices (if you have access to these). This is more likely to keep a child focused and decrease some traits of inattentiveness. You should give extensions on homework tasks to a child who has ADHD, and modify the tasks you set to accommodate the child’s needs. For example, make the task more fun or carefully list step-by-step how to complete the activity. You could also use a homework book to help the student organise their work and keep track of their progress. Try to allow a student with ADHD some extra time to complete tests. It’s very likely that a child with ADHD will lack self-esteem and believe that they are simply naughty. Use a reward system, like stickers or a points chart, to encourage and reward appropriate behaviours. Where possible, make tasks and activities interactive – for example use whiteboards rather than always writing in workbooks. Ask the child with ADHD to hand out the whiteboards – this will help expend some energy and make them feel that they have an important role in the classroom. A child with ADHD may have difficulty sitting still and may suffer from exclusion and rejection from their peers. Therefore, it can be good to encourage physical activities in your class that all children can participate in equally. For example, you could ask your students to do some star-jumps after completing a piece of work. This helps refresh them and proves especially beneficial to a child who needs to burn off some energy. Consider creating a quiet area that the student can use if they feel overwhelmed by the activity in the classroom. Make this area multi-functional: it can be used to sit down and have some quiet time, or an area to move around in for a while if they are struggling to sit still. This article has offered some useful strategies for managing ADHD in the classroom. Implement all of these strategies to help ADHD students get the most out of their education and live positively with their condition.